Cash flow is everything but not everyone understands this when they get into business. Many find that, whilst their balance sheets and profit and loss statements might look okay, there’s not always enough money to spend at the end of the month to pay yourself a salary. This may often be because they haven’t thought about tax expenses and also sometimes your customers are slow in paying their bills. Ideally, you would have understood this before starting your business but sometimes it’s too late. You’re already in business and you’re already having cash flow problems. There are a couple of things that you need to do – you need to truly understand your bottom line and you need to truly consider your expenses to work out where your profit is. There are generally two main ways to increase profits – you can reduce costs for existing sales numbers or you can increase sales holding costs constant. So look at all of your expenses and see if there’s a way for you to better manage these costs. There is a “third” way that many businesses are heading and I wanted to expand a little upon this below. Businesses are using the power of a Trade Exchange like Jim’s TradeNet to help improve their cash flow and improve their cash profits. A Trade Exchange is a facilitated network for members to do business with each other without exchanging cash. The means of a transaction is the Trade Dollar. Each Trade Dollar has a cash equivalent value to one Australian dollar so members do business as if they were trading in cash – so they sell at cash prices but no cash changes hand. You are never going to be able to survive 100% on trade – although in Jim’s TradeNet there are an increasing number of service providers so you can do more and more through the Trade Exchange as you choose to do so. But today let’s just talk about excess stock or space. Let’s say that you are a hotel. (If you are at 100% capacity then you probably don’t need to worry about this.) But let’s say that you’re like most hotels where you often have some empty rooms. Instead of having these rooms sit empty providing you with no value, you could instead offer these rooms to members of Jim’s TradeNet for Trade Dollars. Your cash costs will unlikely increase dramatically – with your cleaners already employed and your utilities bills already covered – but you can earn Trade Dollars. These Trade Dollars that you have earned can then be spent on other supplies – those that can reduce your expenses but also some supplies that can actually generate extra cash income. For example, at the time of writing, you could use generated Trade Dollars on cleaning products and wine that you could then sell for cash through your bar – there’s also printing and other business supplies available to you. 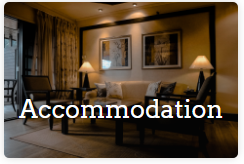 Jim’s TradeNet is perfect for businesses in the hospitality industry – you can use Trade Dollars earned through excess capacity to reduce costs in other areas of your business. Apply for Membership now and give Jim’s TradeNet a try! It could be the best thing you ever do for your business.